Hand-carved French volcanic luberon limestone or tuff stone lamp with a minimalist beton-brut architectural bearing. Hand carved French volcanic Luberon limestone or tuff stone lamp with a Minimalist beton-brut architectural bearing. 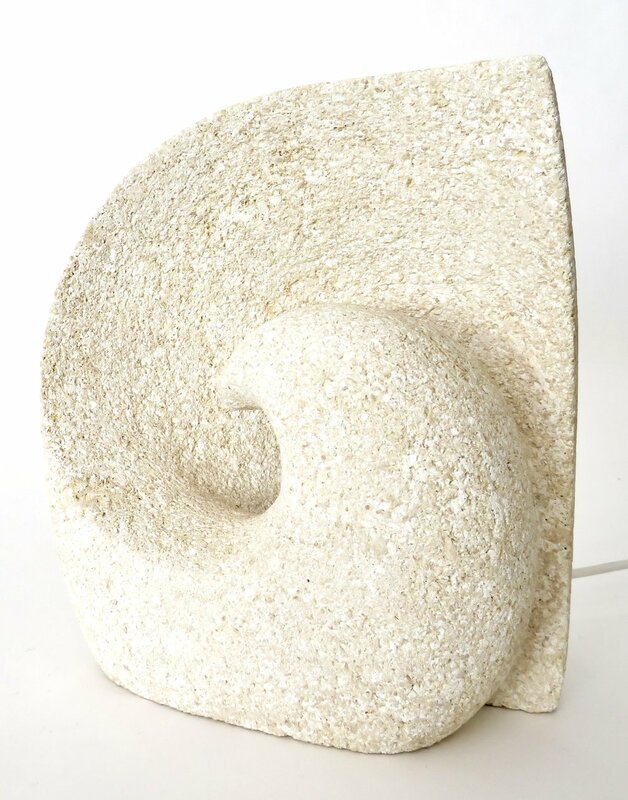 An unique abstract seashell wave form. By Vallauris artist Albert Tormos, made circa 1970s. Tormos also worked in St Tropez during the period.One single light bulb source in the interior.